Americas veterans deserve the very best health care because theyve earned it. Better than honor and glory, and Historys iron pen, was the thought of duty done and the love of his fellow-men. 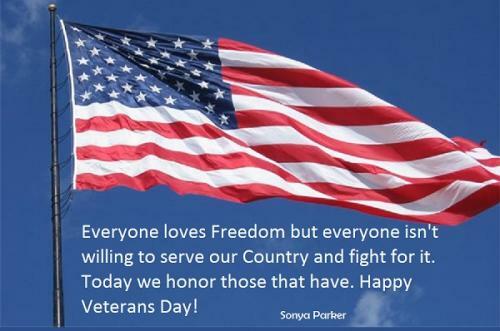 Happy Veterans Day to those that fought for our FREEDOM! Our freedom of speech and our freedom to protest all inequalities and injustices.